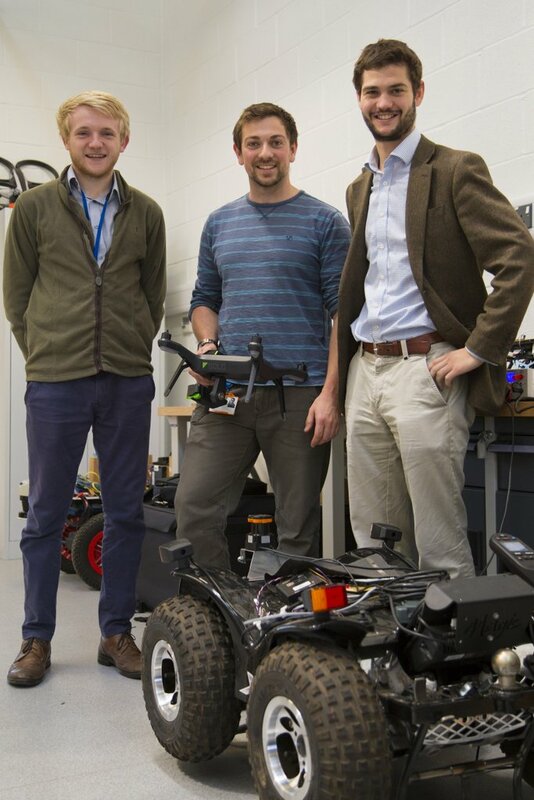 In a world-first, Harper Adams University staff, supported and led by precision farming specialist Precision Decisions, are attempting to grow and harvest a hectare of cereal crops; all without stepping a foot into the field. Hands Free Hectare team includes (L-R) Martin Abell, Jonathan Gill, and Kit Franklin. Mr Franklin said: “Over the years agricultural machines have been getting bigger, increasing work rates. This has suited the UK's unpredictable climatic working windows and reduced rural staff availability.